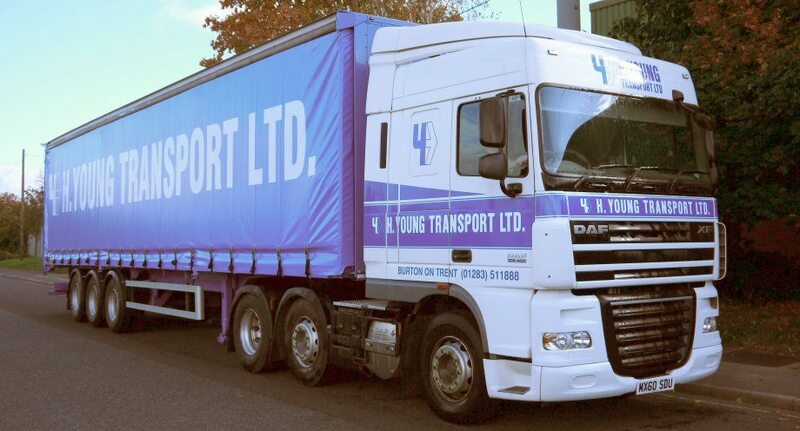 H Young Transport Ltd offers national distribution from one pallet to full loads either on a dedicated, contractual, shared user or ad hoc basis. We carry a diverse range of products concentrating on manufacturing, retail and industrial market sectors. From our strategically placed facilities at the heart of the UK in Burton on Trent, we offer a full comprehensive distribution, warehousing and handling operation. We operate a fleet of over 40 vehicles ranging from vans to 44 ton articulated lorries with access to a national pallet network. Our IT systems are developed “in house” and can be tailored to meet the specific needs of customers and can provide a suite of information over the internet. H Young firmly believe in forging long term partnerships with our customers, who in turn can be assured of receiving reliable, progressive logistic solutions and a high quality professional service from a dedicated and efficient management team.